HealthEast Care System, St. Paul, has produced a video about an adverse health event from a patient’s perspective. Due to a mix-up in the laboratory process, Lisa, a Twin City mother of four, was incorrectly diagnosed with breast cancer and endured an unnecessary lumpectomy. Hear Lisa and her family members describe the experience of first learning about her diagnosis and the ultimate details of the horrific mistake. 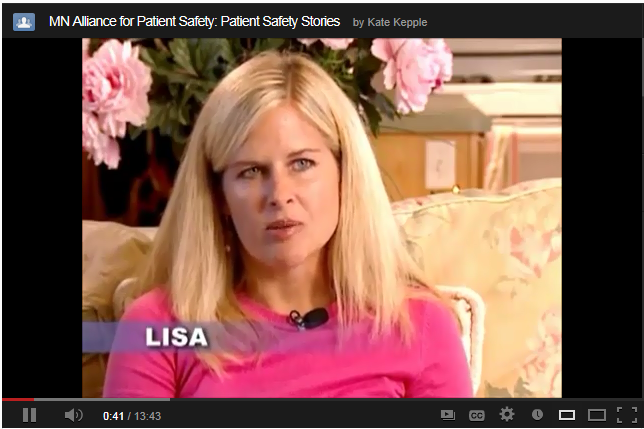 Also understand the doctor’s perspective, and the steps that were taken to correct these kinds of errors so that they never happen again.Click on the graphic to hear Lisa's story. "Chasing Zero: Winning The War on Healthcare Harm"
A near fatal medical error almost cost the lives of twins, born to actor Dennis Quaid and his wife. 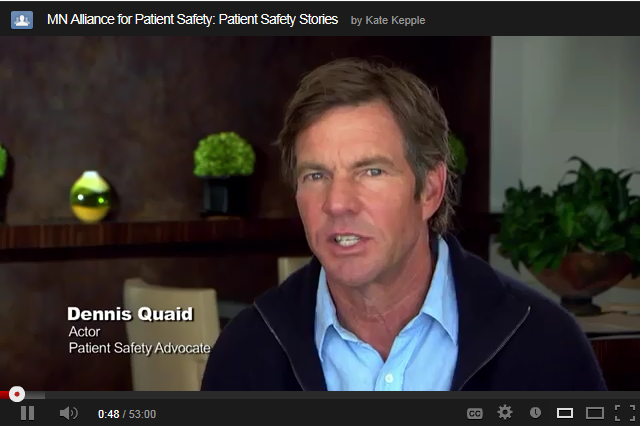 This real-life event inspires a new patient education documentary featuring the Quaid family's personal ordeal, along with stories of other families who faced medical errors. Also meet experts who are leading efforts to help dedicated health care providers reduce medical errors and improve patient safety outcomes. On Feb. 2001, 18-month old Josie King died from medical errors. Josie was admitted to Johns Hopkins after suffering first and second degree burns over 60% of her body from climbing into a hot bath. Josie seemed to receive the best of care and had surgery to transplant skin grafts onto her scarred body. She healed well and within weeks was scheduled for release. Two days before she was to return home she died of severe dehydration and misused narcotics. 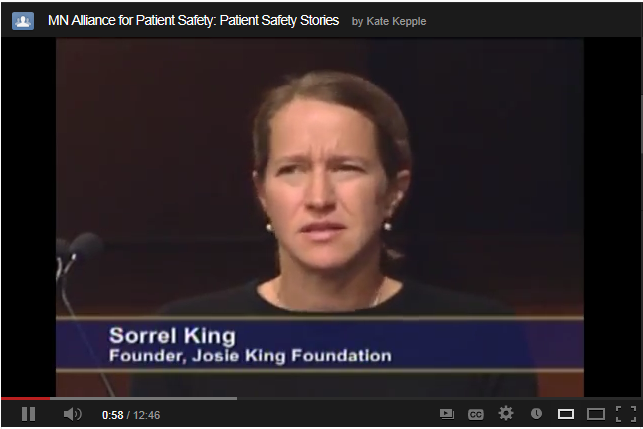 Since the death of her daughter, Sorrel King has courageously committed herself to shedding light on the role that medical errors play in thousands of preventable deaths every year in the United States. She has also become a valuable partner in the Partnership for Patients initiative. Click on the graphic to hear her story.